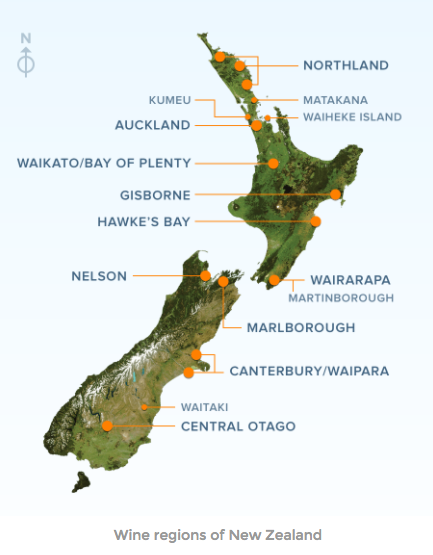 New Zealand’s 18 key wine regions have applied for GI status following the launch of the Geographical Indications (Wine and Spirits) Registration Act. Jeffrey Clarke, Zealand Winegrowers Acting CEO, told db that 18 GI applications have already been filed after the GI Act came into force today. “The act is a significant advance for the New Zealand wine industry,” said Clarke. “Our GIs are at the very heart of the New Zealand wine story and this new law provides an additional level of protection for them. “The registration of these GIs will provide a solid platform for New Zealand wine producers to promote our wines and regions in international markets and ensure investment in our regional identities are better protected,” he added. The Geographical Indications (Wine and Spirits) Registration Act formally recognises the collective intellectual property of a wine region by allowing for registration of the region’s name as a GI, which ensures that the name is reserved only for wine from that region. The registration will also give the region’s grape growers and winemakers a greater ability to protect those GI names from misuse overseas. New Zealand wine exports are currently valued at $1.66 billion a year. The industry is working towards a goal of $2 billion of exports in 2020. An in-depth look at the growth of aromatic whites from New Zealand will appear in the August issue of The Drinks Business magazine.